Is there a Roth IRA withdrawal age? Are you required to begin taking distributions from your Roth IRA once you reach a specific age? There is a minimum age requirement for withdrawals to be considered qualified distributions, but unlike a Traditional IRA or a 401k, there isn't a maximum age at which you're forced to make withdrawals. If there's a Roth IRA withdrawal age you need to know, it's age 59 ½. That's when, assuming you've met the requirements of the 5 year rule, you can withdraw funds from your Roth IRA tax-free and penalty-free. Prior to age 59 ½, the only funds you can withdraw tax-free and penalty-free are your original annual contribution amounts. Of course, there are exceptions, but they're rare. In most cases, if you withdraw investment gains such as interest and capital gains, or you withdraw rollover or conversion funds, you owe income taxes and a 10% early withdrawal penalty. For instance, let's say you at age 30, you open and fund a Roth IRA with $5,000. You never contribute another dime, but at age 35, you find yourself in the 25% tax bracket with an account worth $10,000. If you withdraw the full $10,000, the first $5,000 is tax-free and penalty-free because you're simply withdrawing your original contribution. You owe income taxes and a 10% early withdrawal penalty. In this case, the total tax bill comes to $1,750 ($1,250 in income taxes, plus a $500 early withdrawal penalty). So, if at all possible, you should delay making withdrawals from your account until after you meet the Roth IRA withdrawal age of 59 ½. One Roth IRA withdrawal age you don't need to concern yourself with is age 70 ½. It has no significant meaning. Unlike a Traditional IRA or a 401k, which require you to take annual distributions starting at age 70 ½, your Roth IRA doesn't require you to make withdrawals at any age. This can be an enormous advantage in your retirement years as it gives your account the opportunity to continue growing years beyond these other retirement vehicles. Let's say you're 69 years old. You have a 401k, a Traditional IRA, and a Roth IRA. Since you also have a pension and social security, you're able to live a comfortable retirement without touching any of the funds in your retirement accounts. You figure this is good idea, because given today's average life expectancy and the ever increasing cost of nursing home care, you don't want to run out of retirement savings while you're still alive. However, even though you don't need the money in your 401k and your Traditional IRA, the IRS requires you start making minimum required distributions at age 70 ½. To make matters worse, on your 70th birthday, the world economy is in depression and all your investments, even the conservative ones, took a big hit. You want to be patient and "ride out the storm," but the IRS wants your money. Just at the moment when your investments have declined the most, the IRS requires you to sell them and then pay income taxes! 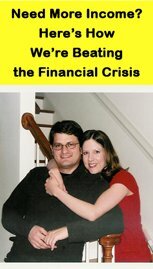 Even if you invest the money you have left over after paying the tax bill, it won't grow tax-free like it did before, and you ultimately end up with less money for worst case scenario. But what about your Roth IRA? The IRS does NOT require you to make withdrawals from your Roth IRA at any age. So if the market plummets when you're 70, you can wait it out. You money can continue to grow tax-free for years and years, compounding to ever greater sums of money. Best of all, you can sleep in peace knowing that if your worst case scenario of an expensive nursing home stay at age 107 becomes a reality, you'll have plenty of money to withdraw - and tax-free money to boot! The fact that there's no required Roth IRA withdrawal age is one of the most advantageous reasons for having a Roth IRA. 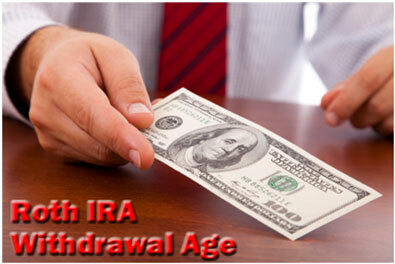 What about other Roth IRA withdrawal ages? Is age 59 ½ really the only age to be concerned with? In fact, there's no minimum age for opening and funding a Roth IRA either. The only requirement is you must have earned income. So, in theory, a baby who gets paid to star in commercials can open up a Roth IRA... Think of how much a baby would have at age 70 after seven decades of compound interest! Likewise, if you're 99 years old and you have a job at McDonald's, you can contribute to a Roth IRA. In short, age isn't really a big deal in regard to Roth IRAs. You can open, fund, and withdraw from your account at age 2 or 92. It doesn't matter. The only time it comes into play is when you go to withdraw investment gains, rollover funds, conversion funds, or other funds not counted as part of your original annual contributions. If you withdraw such funds prior to age 59 ½, then you'll probably owe income taxes and a 10% early withdrawal penalty. As a result, the only Roth IRA withdrawal age you need to focus on is age 59 ½, when your withdrawals are tax-free and penalty-free.